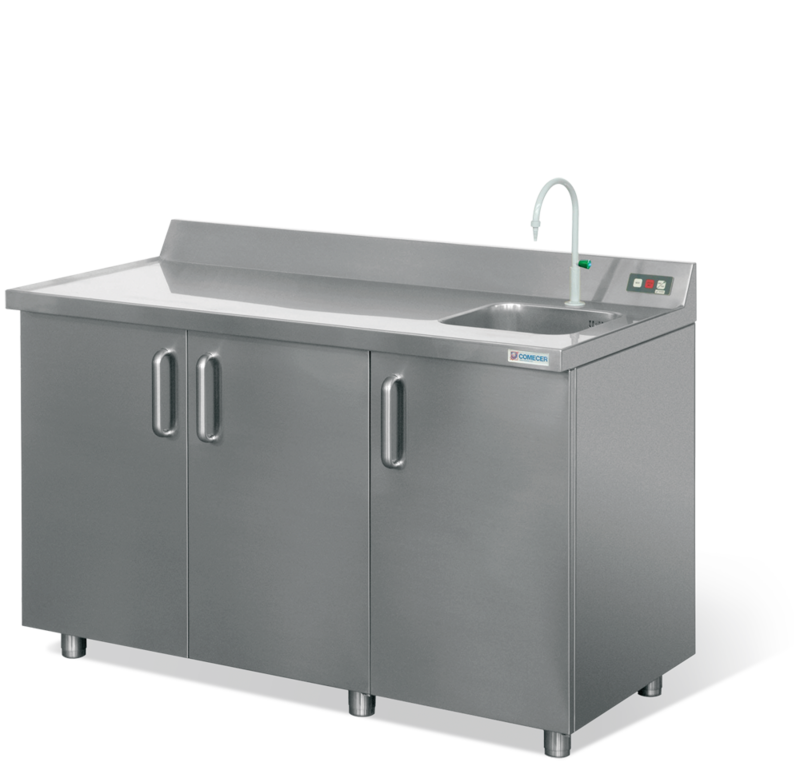 Stainless steel work bench with sink with controlled discharge and hinged doors. Ideals for Radiochemistry and Nuclear Medicine laboratories. Faucet swan-neck for the regulation of water flow. Water flow command via photoelectric cell.